I picked this 12" up in January 1998 from the now defunct Mr Bongo's on Poland Street in London's SoHo. 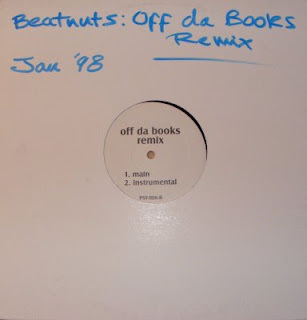 I am unsure if either of these tracks got a legitimate release but if they didn't t the time I'm sure that they will pop up sooner or later on one of the multitude of Beatnuts greatest hits of unreleased collections that seem to get a bi-annual release. Its a dope up beat party track with Pun showing off his truly legendary skills on the Mic, Beatnuts dropping their usual thugged out alcoholic rhymes and Cuban Linx doing an admirable job of not looking weak on the mic next to these heavy weights. The other track on this bootleg is labelled Dawn The Dead and is a slower track with a nice Cello sample running over a Jazz infused drum break. 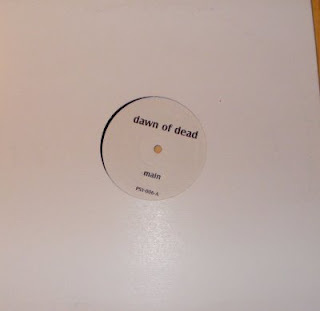 Dawn Of The Dead was on the Japanese version of their self-titled album. Its pretty much a standard Betanuts track although its clearly from the early days before they got just a little too jiggy for the fans of the early albums. Its still dope though and if you're Beatnuts fan you need it in your collection. Check the link below for the rip and leave a comment if ya like this sheet. DO U GOT SOME UK PRESSURE ? ?